Moving Mum into the Care Home has been harder than I thought it would be. She’s used to staying there when I’m not around so, while I was on holiday, everything was ok. But since I’ve been back, things have been very difficult. Mum really wants to Go Home. I understand that, and if there were any way that could be arranged, I would do it. But she can no longer look after herself – and I can no longer look after her. Every time I see her, we have the same upsetting conversation. How I have to have an operation and need her to be safe and looked after in the Home. She insists that she could manage on her own and has to be reminded that she hasn’t done that for several years. Eventually, she accepts that there’s no alternative. But the problem is, she forgets the conversation. So next time I visit, we have to have the same conversation all over again. She’s never been a particularly maternal type of mother. In fact, she’s often been hurtful and self-centred. But even so, such scenes tug at my heart strings. She’s 97 in three weeks, so she’s unlikely to go on for that much longer wherever she lives – but of course she’d like to spend her last years in her Own Home. But the only reason she’s been able to stay there as long as she has done, is because I gave up my life in London and moved down here. And yet I still feel tremendously guilty. I feel guilty towards the Ancestors: my father, my mother’s sisters. I feel like I need them to forgive me for putting mum in the Home. After three years of full time care-giving, I was struggling and overwhelmed. The work was unrelenting, the stress enormous. I’d developed my own health problems. I’m sure the Ancestors know this! But even so I still feel bad. Up till now, it’s been me who made the sacrifices; it was me who gave up my home to look after mum. I didn’t think of it in that way because I didn’t think I had any choice. Now I don’t think I have any choice but to settle her in the Care Home. So I really did not expect to feel soooo guilty! On the other hand, I did have a really great holiday in Crete and Santorini so I am feeling a lot better than I was before I went! I’ve been waiting for a permanent room to come up at the Care Home mum likes. Essentially, I’ve been waiting for someone to die, which is a bit weird, but it was the only thing to do. About a month ago, the owner of the Care Home – or the Missus, as mum calls her – told me a resident had been taken ill and wasn’t expected to survive. But that old lady proved to be tougher than everyone expected, and she regained her health. Then another resident was taken into hospital but, as I said to Brother – I’m about to go on holiday. I can’t risk being stuck with nowhere for mum to go. What if this second old lady also proves tougher than they thought? And indeed, I didn’t want to wish her ill just for my convenience. And so, I found a respite room for mum at an alternative Care Home. But the truth is, mum’s needs have become such that I’d been counting on her moving permanently into the Home before I went away. Now I took a deep breath and came to terms with the fact that it wasn’t going to happen. I really did not know how I would cope. Mum is getting so frail, it’s terrifying each time she stands up and goes to the bathroom. I can no longer get her in and out of the house without a second able-bodied person to help – and I’ve recently lost both of the main carers who I relied on to support me, let alone mum! Plus, I have a hospital appointment to start my treatment in early November so I really did need to find a place for mum during October. I consoled myself that by then there might be a place at the favourite Home. But the fact is, I was beginning to despair. At this point, I had a call from a woman on the Carer’s Support Team. She’d come round to see me a few weeks previously and had ended up giving me an hour’s counselling session, which she must have thought I needed. And perhaps I did. Anyway, she rang to check on my mental health. I admitted I was pretty down. I’d so hoped to get mum settled before my holiday. Now I was faced with finding a place for her before the hospital appointment. She offered to help me do that, which I really appreciated. So different from the bureaucrat I spoke to before. None of this ‘oh you can manage with extra help from the Care Agency’. No. She agreed. ‘You need to find a safe place for your mum as soon as possible.’ So that was a load off my mind. Then, at the eleventh hour the Missus rang. There was a permanent room for mum after all. It would be ready the day before I needed to leave. I didn’t even feel excited, I felt numb, I didn’t dare allow myself to relax or I’d have to admit just how hard and dreadful it’s been the last few months. I understand it’s a sad thing for mum to leave home. I expect there’ll be some hiccups. I’ve had several serious conversations with her about how things can’t carry on as they are, but then she forgets what I told her. However. Last week, she moved. I was in such a state myself, I had to go back twice with things she needs but I’d forgotten to pack. The next day I went to London to stay with friends, and then on to see some more friends in Paris, and I forgot to do all sorts of things before I left. I did one thing in particular that was so dumb I can’t believe I actually did it. However, it seems that I did. I guess I’ll slowly unwind and come to my senses. I still can’t believe it has really happened, keep worrying things will go wrong. I do so hope mum will settle happily in the Home because I’m really worn out. On the plus side, I’m going On Holiday tomorrow! I hope it’ll be fun. I really do need to recuperate! Mum really wanted to visit my brother’s new home in Somerset. Because it would probably be the last holiday she ever had, we discussed how it could be arranged. The first hurdle was the 2 ½ hour drive to where my niece lives. Mum made the journey last year for niece’s wedding, and stayed quite happily in a Care Home round the corner from niece’s home. 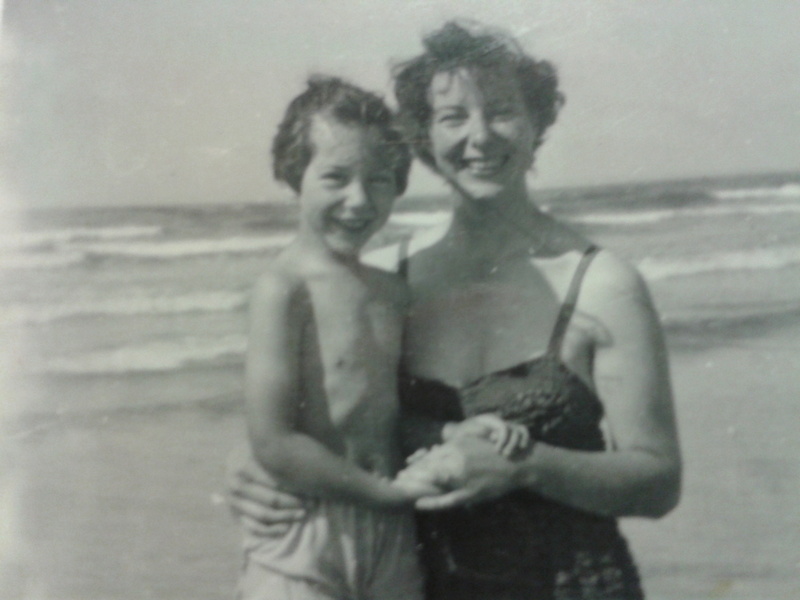 Now mum is a year older and much frailer – but, keeping my fingers crossed, I booked a car and a driver and we made it that far. Mum then spent two days resting. She was visited by my niece, who’s heavily pregnant with her second baby, and Great-Granddaughter – who really is the only person mum cares about these days. Niece and her hubby put me up, which was very kind of them because, what with the advanced pregnancy and the demanding two-year-old, this young couple already have quite a lot on their plate. But I did need to be nearby. Mum had a bit of a meltdown the first evening. The Home rang me and I had to walk round and reassure her, but basically all went well. Brother lives another hour’s drive to the north. Saturday morning, he came and picked us up. He’d found a very nice Care Home close to his house, with a view of the sea from the garden. It seemed a nice place, lots of ladies to chat to in the lounge and mum settled in happily enough. Brother also arranged to borrow a wheelchair – which made things much easier for moving mum around. On the Sunday, mum was taken to visit my brother’s new place. Originally, he’d said she would not be able to get over the threshold, but eventually he worked out she could enter through the garage, in the wheelchair. My niece, her hubby – and Great-Granddaughter obviously – and my nephew with his wife who’s 7 months pregnant – all arrived for lunch. It’s unlikely mum will see either of these expected babies for a while, so at least she’s met them in utero as it were. And we had what may well be one of the last family gatherings. Then, on Monday, Brother gave me a lift to Glastonbury where I spent 3 days on my own, thinking things through while he and his partner took mum round to various places she wanted to visit along the north Somerset coast. She was particularly keen to go to Weston-Super-Mare. We think she went there with my dad when he was in the army, but we’re not completely sure. Then he drove mum back to the Care Home around the corner from my niece. I got back there the next day. Mum seemed fine. My niece had been to visit her that morning with Great-Granddaughter, and we would be going home the next day. We were just sitting down to dinner when my mobile rang. Mum was freaking out, as only she can. Where was I? She was waiting for someone to come and look after her! No one was looking after her! She’d been abandoned! She was disgusted! Disgusted! Etc. Etc. I trudged back up to the Care Home. The carer was very upset by mum’s outburst. I think the problem was there was no one to chat to in the tv lounge so mum felt lonely and bereft. She wanted to come back to my niece’s house. But that was impossible. It really is not old-lady-proof. There’s nowhere she could sit; the entrance is narrow with high steps. And there was no wheelchair available. And no one to push it if there were. They are looking after You! Look how upset they are! You need to rest, before the long journey tomorrow! And you saw Great-Granddaughter this morning! And anyway, She’s already been put to bed! Eventually, I got mum settled and we had our dinner. After this outburst, I was dreading the final drive home but it went ok. The traffic was heavy, as it was a Friday afternoon in the summer holiday period and the journey took longer than usual, but the driver dealt with mum well. To avoid the traffic, he took us on a roundabout route through some lovely landscape, and quaint little villages. This scenic drive has really stayed in mum’s mind. And, although Mum has been tired and fractious since we got back, she does seem to have enjoyed her holiday – and to have remembered most of it! Which is the main thing. Now, I’m just counting the days till my own holiday. I just hope I can last out till then!! A couple of years ago, I tried to get mum a clinical diagnosis of dementia. But although the Doc agreed there were issues with her short-term memory, they would not agree to give her a formal diagnosis. As I live with her full time, I felt they’d made a mistake, but there was nothing to be done. After my recent brush with the bureaucrat, I realised a firm diagnosis would be helpful when I next had to deal with the bureaucracy, so I asked them to test mum again. This time, her results were greatly improved – at least from my point of view. Some might say she’s deteriorated. Her score had dropped sufficiently for them to decide (taking all other factors into account) that they’d give her the diagnosis without the need of a brain scan. (Thank goodness for that!) And mum is going downhill quite rapidly. She’s increasingly confused, losing words, forgetting names, getting muddled about the time of day. She can no longer work out how to switch on the tv, and has to be instructed on what to do during her trips to the toilet. Sometimes though, especially when she wakes from a nap, her face is lit with a beatific smile, as if she’s stoned or she’s been in another dimension and is now surprised to find herself here, in this mundane world of material reality. Whatever the Social Services might claim, it’s just not safe for us here anymore. Mum’s getting more and more unsteady. In fact, she had another fall the week before last, again on the steps coming up into the house from the conservatory. This time she was on the bottom step, so she just tipped back onto the carpeted floor. I was behind her once again, and once again cushioned her fall, altho I didn’t have to take her weight and manoeuvre her into a safe position like the last time. This time, I just stressed my neck, my back (once again), my knee (where I had an operation 20 years ago), and some general muscle ache around the ribs. Luckily, my brother came that weekend. Having a couple of days off helped me to recover – as did having a very nice time with friends in London! I feel mean, but I’ve banned mum from the conservatory, where she likes to sit because it looks out over the garden. I’m terrified that, in the time left before we find a permanent place for her in a care home, mum’ll have another fall and this time it’ll be catastrophic – either for her or for me. Every moment she spends on her feet, I worry. I especially don’t want her to injure herself before she goes on holiday! Yes! We’re planning to try and get mum down to Somerset for a week. She’s long expressed a wish to see my brother’s new house and to return to an area where she has fond memories of a holiday with dad. It’s taken quite a bit of arranging, but it has been arranged. I really hope it will all go smoothly and that the journey won’t be too much for her. We leave tomorrow. Watch this space, as they say! !